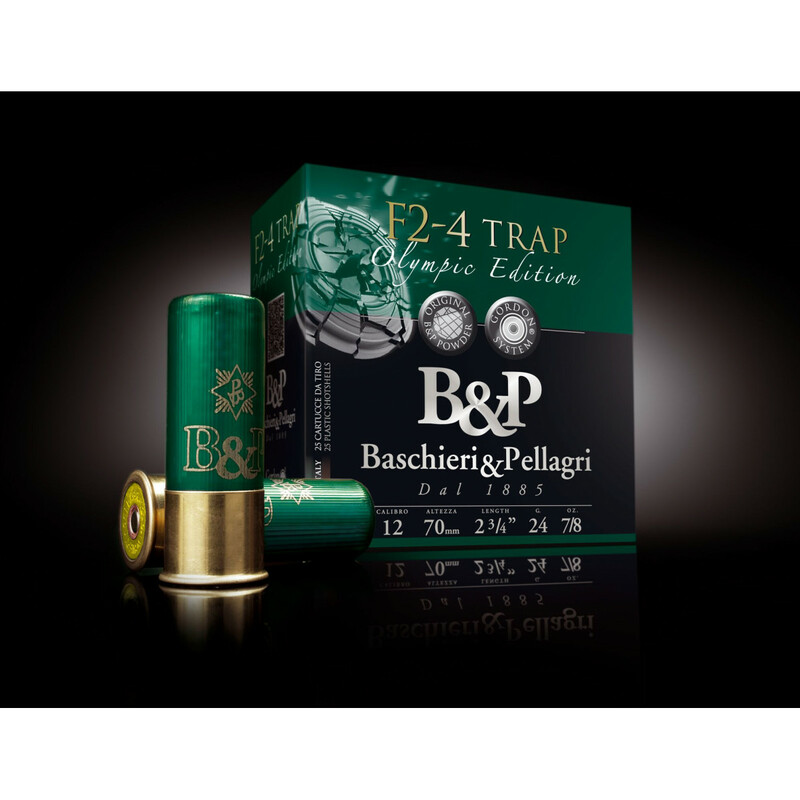 This cartridge is distinguished by a modern look and outstanding ballistic characteristics. The use of F2 powder - 5 Olympic gold medals - selected graphite-coated bronze-coloured shot and a special wad with a pre-cut container enables compact, homogeneous patterns. 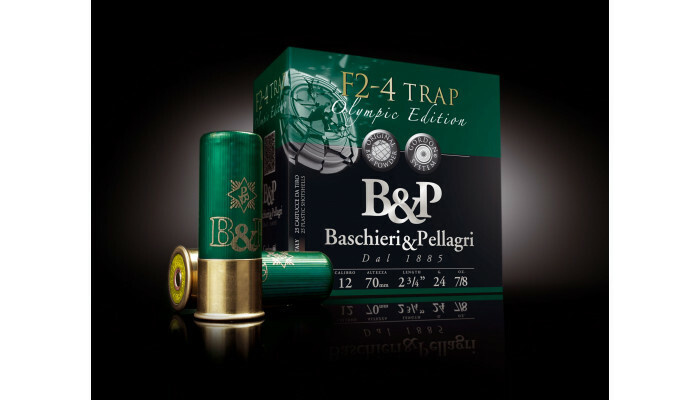 This product ensures optimal performances in the trap discipline for the most demanding shooters.